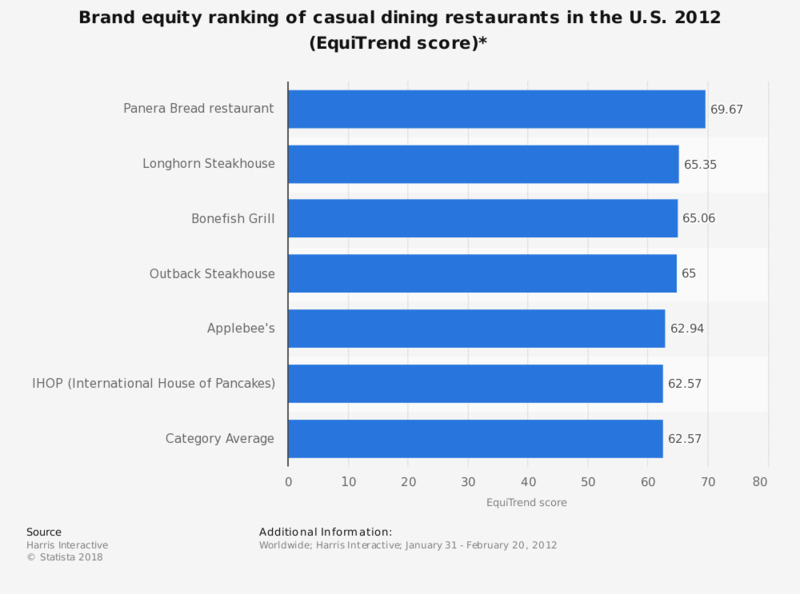 The statistic depicts the EquiTrend ranking of casual dining restaurants in the U.S. in 2012. Panera Bread's EquiTrend score is 69.67 in 2012. Bahama Breeze and Denny's (not included in this statistic) ranked below the category average.